Since 1926, Edwards High Performance Pumps have proven their reliability in fighting countless fires across the nation. 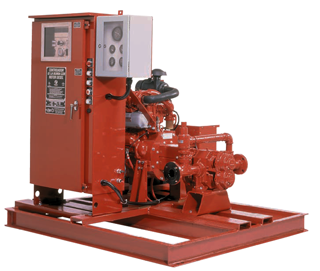 Edwards offers custom-built pumps and complete pump packages, as well as repair and flow test facilities. An industry leader in quality assurance, Edwards was the first pump manufacturer to introduce UL/FM foam concentrate and water mist packages. With Edwards, every client can expect to find a winning combination of timeless reliability and timely innovation. Need replacement pumps or parts? We are your source! >> Visit Edwards on the Web!